Aviation always attracts people and Aviation photography is actually a act of taking photographs of aircraft, either in flight, or on the ground. Aviation photography is a great art and it requires efforts,dedication & knowledge of special techniques and of the aircraft to be done properly. There are different types of aviation photography, including air-to-air, ground-to-air, ground-static, and remote photography. Military aviation photography, especially air to air, requires additional skills, as the photo and target aircraft often fly at velocities of over Mach 1, while under moderate to high G. The photographer can also have a VHF radio to listen and be aware of the aircraft’s position. Aircraft is a great invention because as it can take us to faraway places with ease !! 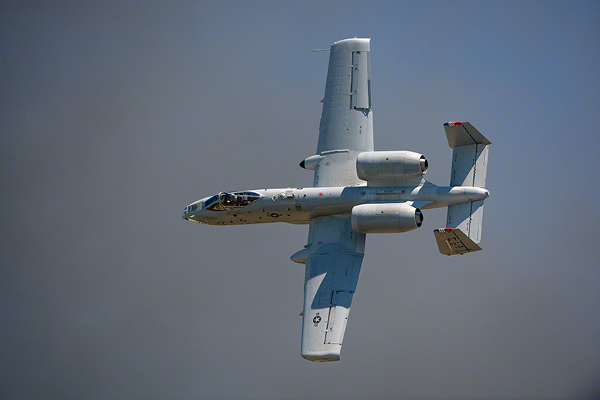 Aviation photography is a fast-growing community. More and more photographers are joining. 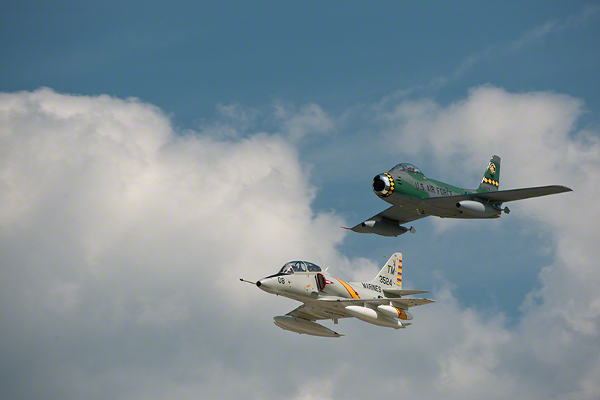 Aviation photography is not only challenging—it’s also a lot of fun. Plus, it requires very little photography gear. To help you light off the ground and get you on your way to your first aerial stock images, here are seven tips to lift your aviation photography off the ground. This is the most important technique, trick and tip that you must master for aviation photography. You must provide your camera with a solid platform to get those sharp images, especially in low light. You can Start with your left hand bent with the palm ,basically your right hand should be able to move freely. Then rest the lens barrel in your left palm. If you open your hand and the lens falls, than you’re not doing it right. Gravity should just hold the lens in your palm. Your right hand should grasp the camera body, with your finger resting on the shutter release. Activating the camera should be accomplished by a slight amount of pressure from your finger, firing the camera requiring just a little more pressure. You don’t want to lift your finger up and down to fire the camera. Bring your elbows into your sides, and have a rubber eyecup to bring the whole rig up against your face. Practice this until you’re comfortable shooting a stationary rock at 1/30 and getting a sharp image, and you’ll be doing great! Panning is an old technique that we use to freeze the motion of a moving subject. It’s really simple. The camera is going to keep pace with the speed of the moving subject, and in doing so, as far as the camera is concerned, the subject is not moving. You can shoot at 1/20 while panning, and the subject will be sharp. Like holding the camera, you need to practice, practice, practice. Using the proper camera-holding technique, follow the subject in your viewfinder by twisting at the waist. You don’t want to move the camera around to do this; you want to twist your entire trunk. This gives your camera a stable platform, and a smooth axis in which to turn. You can practice by photographing a dog chasing a ball. For aircraft, practice on cars driving by on the street. Practice at different shutter speeds to see how they affect the background blur, and to see just how good your panning is becoming. Light is the very heart and soul of photography, and it’s how we bring romance to aircraft. Shooting in the early and late hours is the norm, but you’ll quickly find that aircraft most often are in the air during the noon hours. That’s just fine, because we can make that work in our favor. 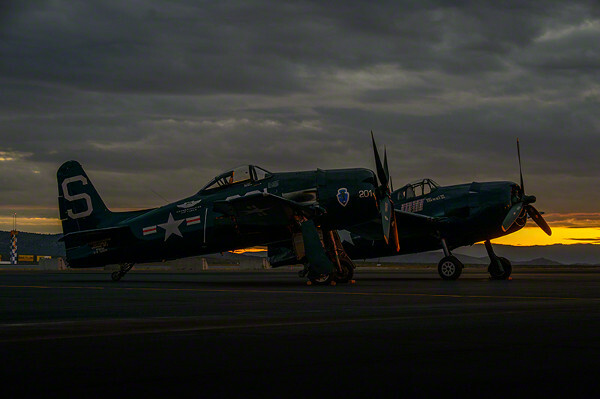 Unlike most photography, we use all three lighting patterns with aviation: front, side and back. Use the light to tell only as much of the story as you need to. For example, planes have wings; however, you don’t need to have them all lit. Backlighting works if light is coming through the canopy where the pilot sits. It might seem out of place, but think of romantic landscape lighting when photographing aircraft and you’ll do just fine. 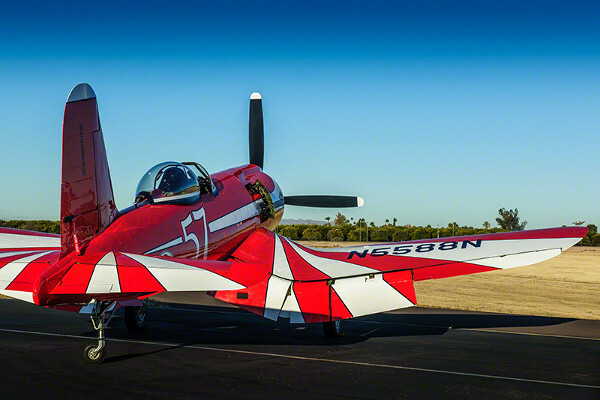 This is essential, whether you’re photographing parked planes, or planes in flight. In our minds, planes are moving, flying through the air. In our photos, they are frozen in time no matter what the plane was doing when we went click. We need to give them motion, even though they’re frozen in our stills. There are two easy ways to do this. If the aircraft is parked, simply shoot from a low vantage point. Have a pair of knee pads (tarmacs are hard, and they get hot) and take a knee. Shooting up does two things: You see more of the underneath of the aircraft, and you take in more sky. That’s where the planes of our imaginations live. If a propeller plane is flying, go to Shutter Speed Priority, and use a speed less than 1/125. 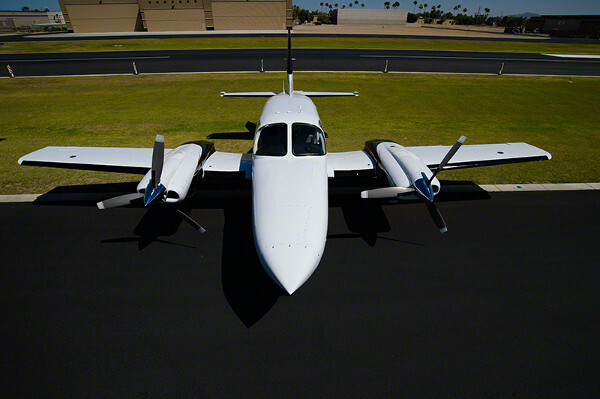 This will blur the prop, which gives it a sense of motion—even though it’s a still image. Bald skies are lame, especially with aircraft! When we look up at planes in flight, we often see clouds behind them. When you watch a movie, airplanes are usually flying through clouds. That’s where our hearts and imaginations place them. So clouds are a natural element that you want to incorporate whenever you can. 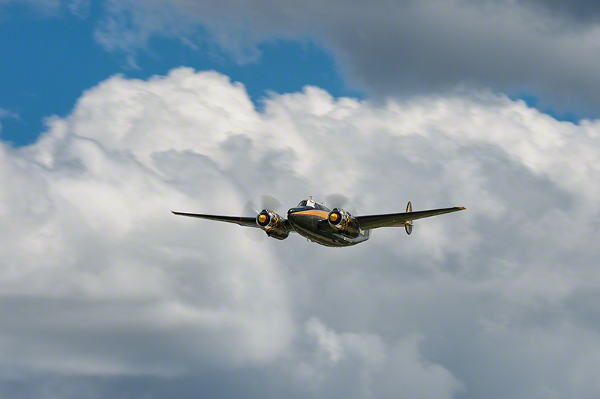 If you have lots of clouds, shoot wide, and don’t worry that the plane might be smaller in the frame. If you have a small amount of clouds, shoot tight, and position yourself so you get in the background the few clouds that are available. 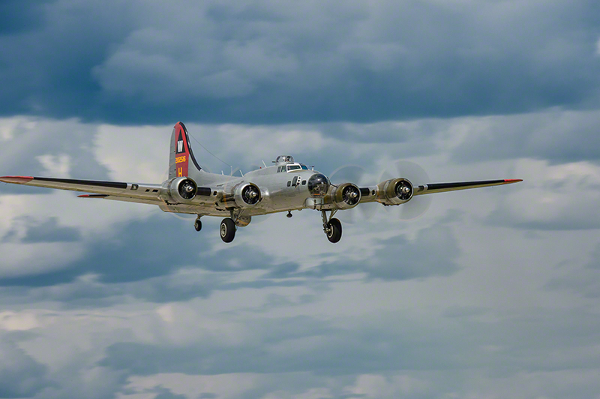 If the plane is in flight, plan your panning to incorporate the clouds in the background. This is essential when shooting jets, because without a prop, you need clouds to give them a sense of motion in a still capture. If you’re really lucky, the clouds will be low, so as you pan, they blur in the background. Now you’re talking aviation photography! This is the easiest tip to write. You need just one lens to start. The Nikon 80-400 or Canon 100-400 will take care of 90% of your aviation photography needs. You’ll want a body that fires the fastest FPS you can afford, but when it comes to glass, one lens pretty much does it all. When you get hooked (and you will get hooked—be forewarned! ), you will next want a wide lens, like an 18-35 or a 16-35. You don’t need a “fast lens,” since you’re often shooting f/11 to f/32, but you want the fastest autofocus operation that you can afford. 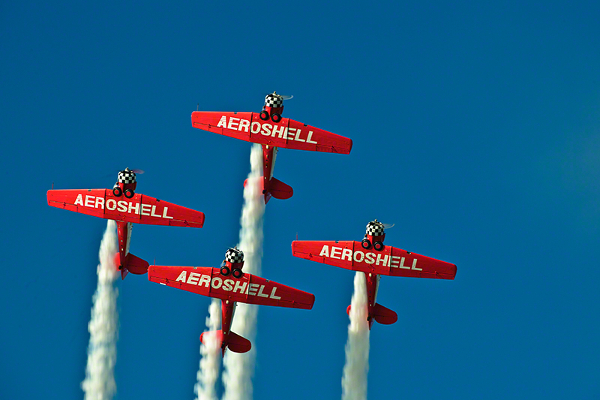 Airshows are the perfect place to get started, for many reasons—the best one being that you get to know your subject. There are old and new, fast and slow, common and rare aircraft, and nearly every photographer ends up with their favorites. For example, I’m into Warbirds, which are considered WWII/Korea-era aircraft. But I have a fondness for biplanes. When you follow your passion, it shows in your photos, and that’s the best advice I can ever give you. Air shows are also a great place to learn about the history of the aircraft, which is important. It’s similar to what our teachers taught us about being a good writer: “If you want to write about a subject, you have to know it.” The same is true with aircraft. The better you know them, the better your photography will be.